Holly Simmons is Senior Director of Product Marketing for Customer Service Management at ServiceNow. Holly is an industry veteran with experience in marketing, product development, and professional services for cloud solutions serving enterprises and consumers. 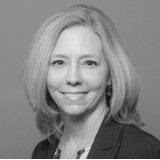 Holly has held senior leadership roles in global audience and product marketing at SAP for service, IT, sales, marketing, customer service, HR, operations, and supply chain. She also brings experience from 4 startups, her own consulting business, and other established companies including Apple and Knight Ridder. Holly holds a B.S. in Engineering from Purdue University and an MBA in international management from the Thunderbird School of Global Management. Holly is a published author on enterprise architecture and CIO best practices.